You may also view a PDF copy of the club’s Solo Supplements which includes our Rules and Site Regulations on our public Dropbox folder HERE. 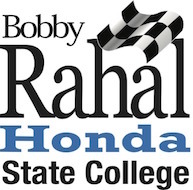 Goal: To avoid any conflicts and to ensure that all competitors and their guests at Central Pennsylvania Region-SCCA understand the operations of our events. Some of these procedures may be different from other regions. Most importantly our goal is to have fun. Mid-State Regional Airport: All competitors and non-competitors (General Public; family, friends, guests)must remember that this is an active airport and planes will be coming in and out during the course of the day for refueling or to tie down. This is an airport first and an event site second. Please keep this in mind when delays occur. There are specific areas at the airport that non-competitors and workers are allowed to be in. Please consult an event official if you are unsure of which areas are off-limits. Conduct: We are guests at all event facilities. Please act accordingly. We have worked hard to secure these sites and we don’t want to lose them. Please do not exceed the posted speed limits or drive recklessly on any of the roads leading to or from the event site. We also ask you to respect the facility property. Certain areas are off-limits for parking and spectators; consult an event official if you are unsure which areas you are permitted to be in. While driving on the event site keep speeds at a walking pace. If anyone is deemed to be in violation of our policies they may be asked to leave the site and not return. Waivers and Wrist Bands: Everyone who enters the area of a Central Pennsylvania Region event must sign a waiver and get a wrist band. The waiver signature form and wrist bands can be found at or near the registration table or site entrance. If you cannot find them, please ask any Central Pennsylvania Region representative. Registration: Registration is open from 8:00am to 9:30am. Competitors must show a valid drivers license to compete. If you are new and have any questions, please do not hesitate to ask, and the registration staff can assist you or direct you to another member that can help. Tech. Inspection: Tech inspections start at 8:00am and end at 9:30am. All vehicles competing must go through Tech. Please remove any and all loose items from your car prior to tech (this includes floor mats and wheel covers). Make sure the battery is securely fastened, there are no fluids leaking from the engine, and the vehicle is in good working condition. Vehicles and Safety equipment must comply with SCCA Safety Regulations. Drivers Meeting: The drivers meeting is mandatory for all competitors. If you are not present at the driver’s meeting you cannot compete. Club and/or event rules and regulations will be covered during this meeting. The drivers meeting will take place at approximately 9:45am and will be announced shortly before that. Competition Runs: Competition runs are divided into two or more run groups (heats) depending upon the number of competitors. All competitors must work one heat. If you run and then fail to perform a work assignment, you will be disqualified and your times for the day will not be counted. Non-Competition Runs: Our region offers non-competition runs at the end of the day, as time and weather permits. The charge is typically $10 for five runs. Non-comp runs take place after all of the competition heats are finished and awards for the day are presented. Only drivers who competed in Competition Runs are allowed to do non-comp runs. Those who wish to do non-comp runs are divided into two heats with the second heat drivers working the course while the first heat drivers run, and then switch for heat two. Participants in non-comp runs are encouraged to stay and help clean up. Work Assignments: When you register for a competition heat you must sign up to work during one of the other competition heats. Typically, your work assignment will be the heat following the heat you run in, with the last heat competitors working the first heat. There will be announcements over the PA system on when workers for a specific heat should report to the timing van. You must take work assignments seriously. The event depends on you for smooth operation. Work assignment will be covered in greater detail at the drivers meeting. If you fail to perform your work assignment you will be disqualified from the event. Grid: The grid will be clearly marked with cones and spaces will be numbered. When your heat is called to move your cars into grid, please go to the appropriate grid space (ex: car #104 will park in grid space #4). Please return to your space after each run. While in grid you must keep speeds at a walking pace, this is a heavily trafficked area. Only the cars that are running in that specific heat are to be in grid at that time. A specific area of the grid may be set aside for cars with multiple drivers. The Course: The course will be open for walking as soon as possible following approval by the event chair and safety steward. The course will be closed for walking at 9:30am. The start of the course will be marked with green cones. Our region asks that all drivers walk the course. All novice drivers must walk the course. No race line or part of the course will be through the grass. If all four wheels of your vehicle are in the grasssimultaneously, it will be counted as an Off Course (OC) and your run will not count. Novice Drivers: Our region makes it mandatory for all novice drivers to walk the course as to avoid any confusion on the direction of the course. When offered, a novice meeting and course walk will begin at approximately 9:30. Experienced members will be available throughout the morning to walk along and explain key elements of the course. Novice Drive Through (optional): Our region offers this to FIRST TIME competitors to Solo events. This is a slow drive through the course with an experienced driver designated by the club Officers. These take place after the drivers meeting and before the start of competition runs, if time allows. Loaner Helmets: These are available to competitors and their passengers if needed. They are typically located at the timing van, a driver’s license will be required to use a helmet. When your run is completed please return the loaner helmet to the designated area. We only have limited numbers and sizes and someone may be waiting for one in order to start their run. See Also: Central Pennsylvania Region Solo Supplemental Rules – Amendments to the SCCA Solo Rule book.